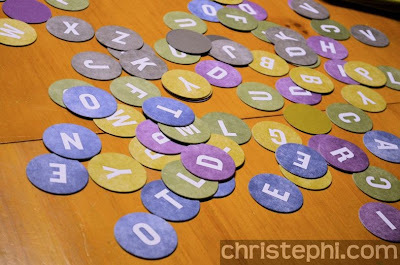 Here on Sycamore Hill we love all kinds of games, but especially word games! Typecrush is a brand new word game with a single rule: whoever solves the first word gets to choose the next word. And, boy, is it fun!! Spell a word making sure no one is looking. Flip the letter circles over to hide your word. The rest of the players try to guess the word using the letter frequency chart. This chart groups letters by how frequently they appear in the English language and they are the clue you need to solve the word puzzle. 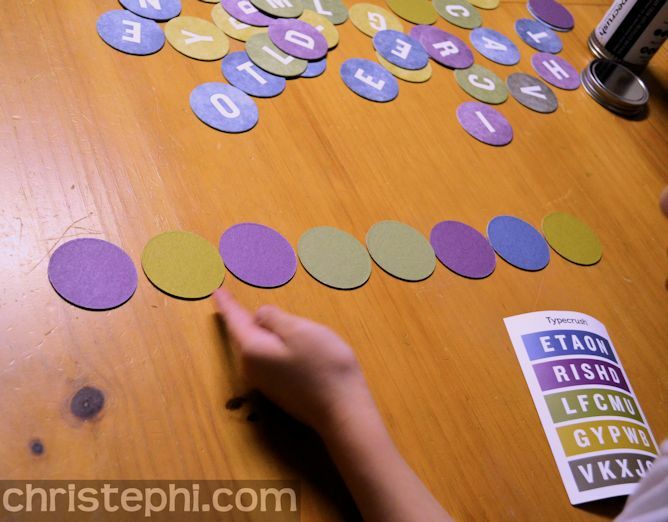 This game is wonderful for any age, from the beginning reader to the avid logophile. 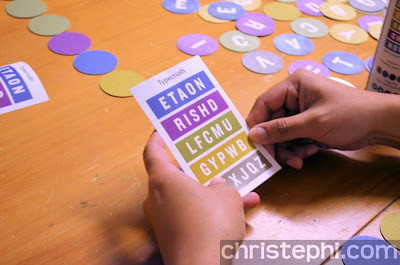 It can be made simple by adding extra hints ["it's a color word"] or by more complex by giving no clues as to the type of word. 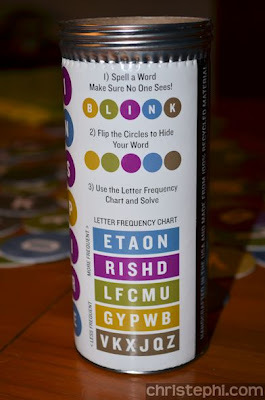 Hubby and I discovered that longer words are actually easier to guess than short ones! He really killed us when his word was toe. 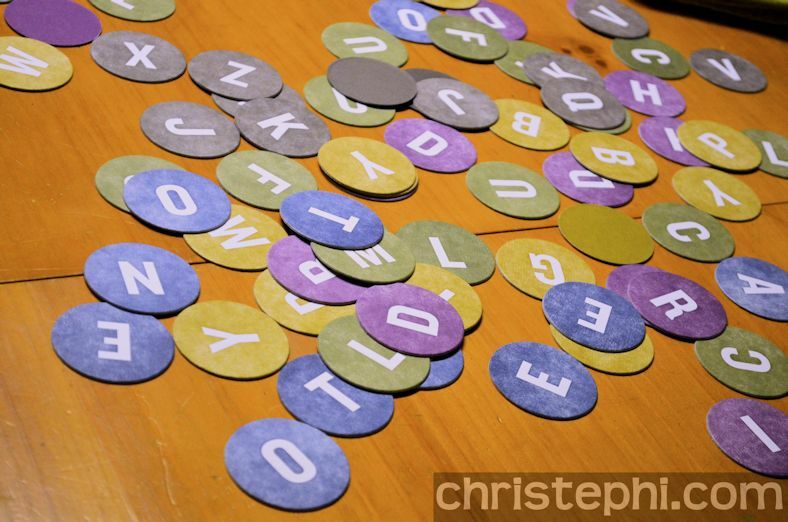 We've had a lot of fun playing Typecrush! Under certain lighting conditions two of the colors are hard to distinguish from each other, but as long as the lights are turned up it's not a problem. We didn't use the game for anything other than it's intended gameplay, but you could easily use it to practice spelling words, to teach letter recognition or play memory. My kids wanted to use the little disks as miniature frisbees, but I put a stop to that. The packaging and design is very appealing! It makes me happy just looking at the nice colors and holding the little disks in my hand. Perhaps I'm easily pleased, but life is too short not to enjoy the simple things! 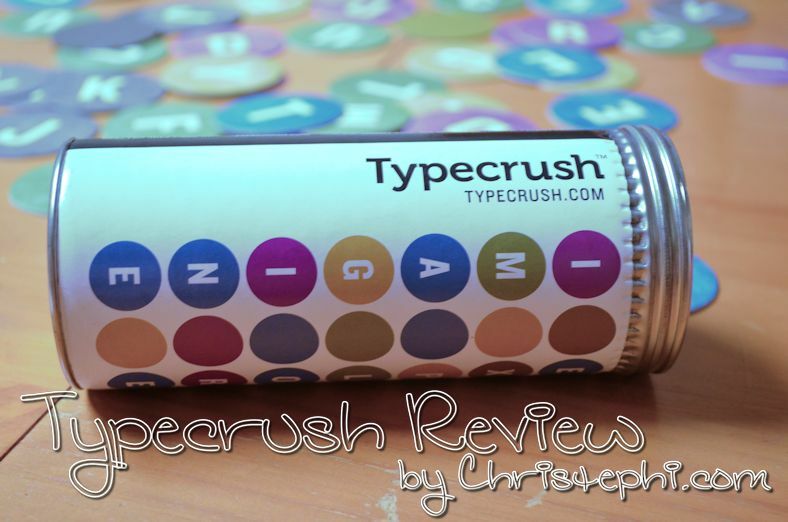 Typecrush is made and assembled right here in the good old U.S. of A. from 100% recycled material! It is available from the publishers for $25 (with free shipping) and comes with everything you need to play. As a member of the Mosaic Reviews Team, I received a free copy for this review. Go see what the rest of my team thought of the game!